Fusion Contemporary and Commercial outdoor aluminium handrail to wall bracket to fit Fusion handrails. 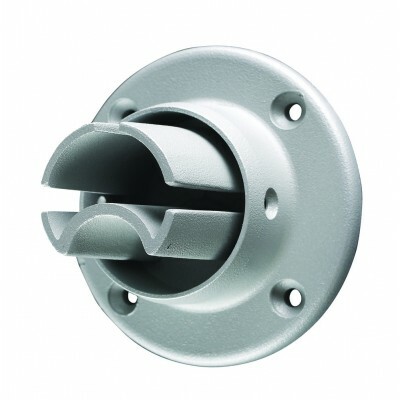 This high quality Richard Burbidge connector lets you attach the Fusion handrail at right angles to a wall or other vertical surface. The connector includes four countersunk 5.1mm diameter fixing holes on its flange for fixing to your wall. Compatible with Fusion handrail profiles only. Suitable for raised level decks. Comes in packs of two.